Davasdu’s comment below prompted me to find out more about this mystery tool. 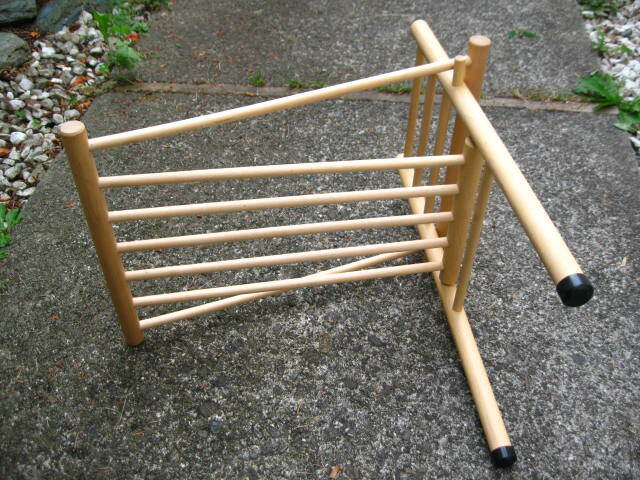 A few months ago, I saw another of these wooden contraptions for sale on eBay, listed under the weaving category. 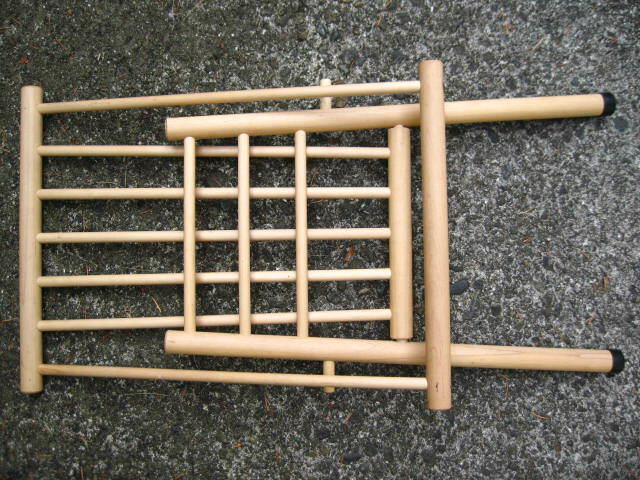 I e-mailed the seller, but she didn’t know how to weave with one of these, either. Because the woman who sold me this tool insisted her mother had used it for weaving, I never thought this could be used for anything else. 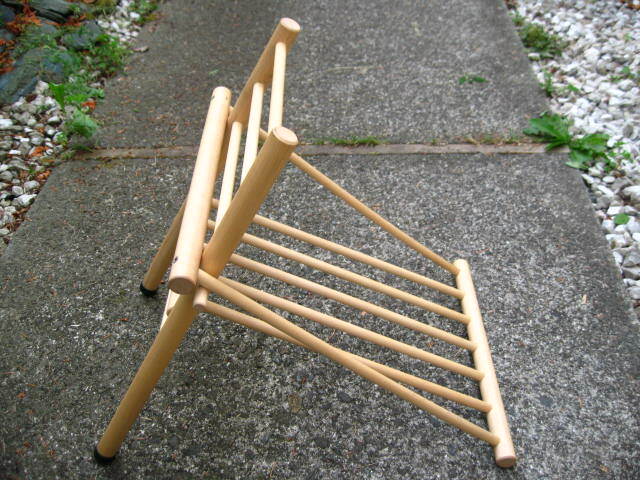 I asked my weaving forum for help, and soon found out that this is not a tool for weaving, but a footstool! It’s also known as a gout footstool; one part of the wood slides under a sofa cushion to brace. Because the stool only extends out about 17″, I could only use it with my knee bent. I don’t know if that is part of how a gout-ridden foot needed to be propped up, or if this model is only for small children. Soon after I first posted about this, Trapunto’s comment below actually identified what this is, although I couldn’t picture it then, and I was still set on this being a weaving tool! Watch your mailbox, Trapunto! A huge Thank You! to Laura R for the corroborating information! No idea. It looks like a footstool attachment for a chair. Whatever it is, I’m guessing the rubber feet go down. 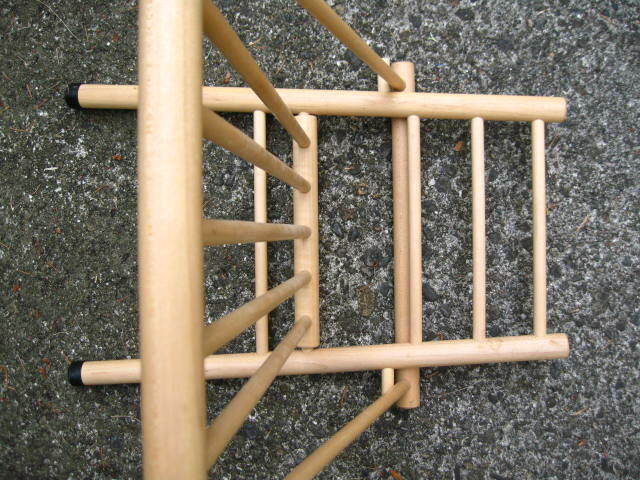 It almost looks like a part of something else, but then, there are no drilled holes or hardware that suggest a joining point. I’ll be really interested in the answer, if somebody gets it. 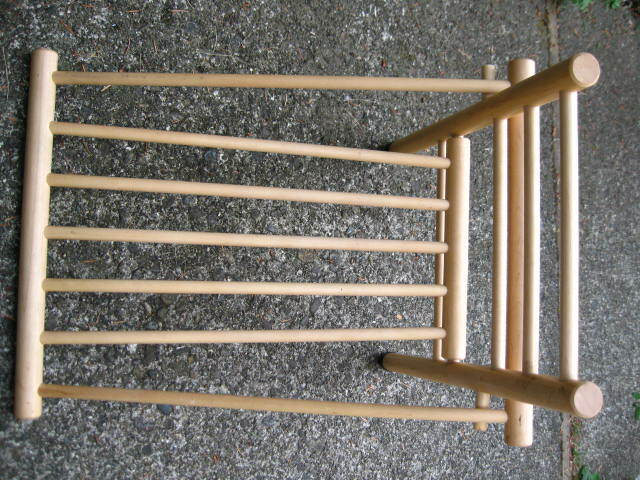 some small looms brace against things like tables and the only thing i can think the wooden thing might be is a support for holding up a loom like this (with the other half of the loom suported on you lap and posibly also part of the stand. I’ve been thinking of this part quite often recently. 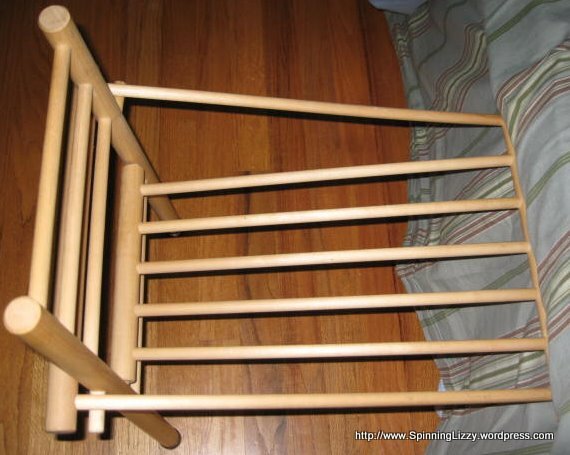 I this same device for sale several months ago on ebay; the seller said it was for weaving, but had no idea how it was to be used. It didn’t sell. 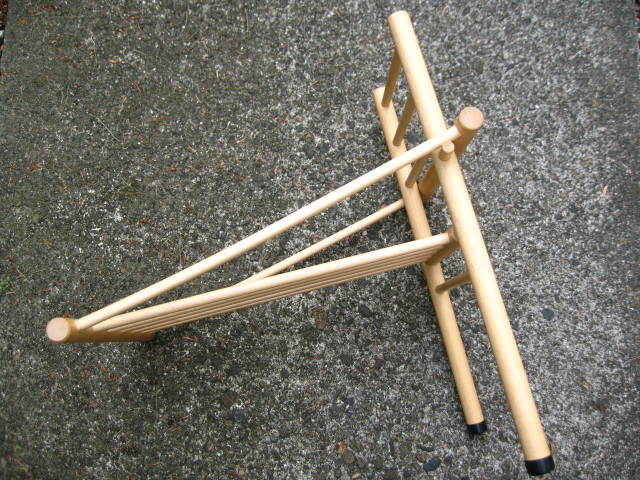 I’ll try it out as a brace for a rigid heddle loom and see if it works. Thanks for the idea! Well, laws a mussy. Great gift idea the gouty child who has everything.